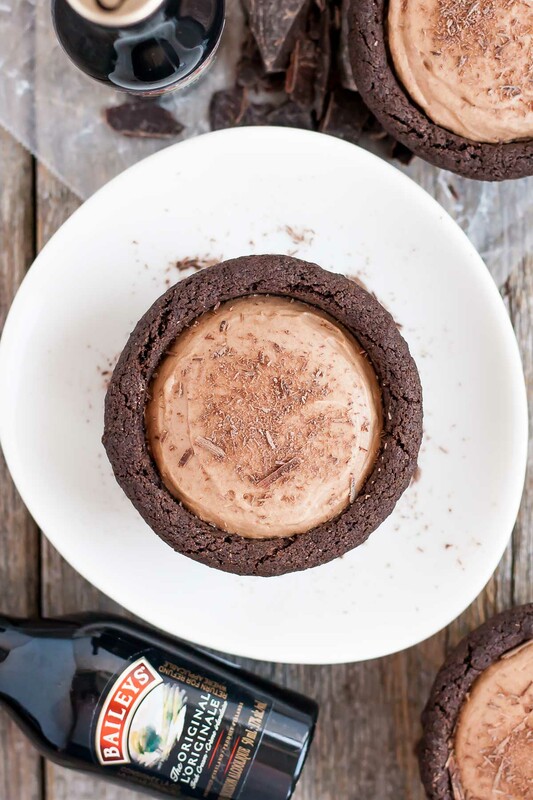 Chocolate cookie cups filled with a fluffy chocolate Baileys cheesecake. The perfect bite-sized indulgence! It’s no secret that we have our fair share of Baileys around at this time of year. Ok, really all year but more so around the holidays. It is the perfect addition to coffee or hot chocolate during these chilly winter months. It’s actually snowing as I write this. It almost never snows here, and certainly not like it is now. Giant flakes coming down, and a blanket of snow covering everything. It’s a Baileys kinda night (or afternoon, don’t judge)! I was trying to decide how I wanted to style these pics last minute (as usual) when my friend Chrisy suggested using some mini Baileys bottles as props. Except I didn’t have any — we only buy the big bottles around here (lol), and I no longer have a liquor store within walking distance. I literally couldn’t think of anything else to style these pics with, so off I went on icy, treacherous roads (not really) to the liquor store… at 11am. They had just opened, or I would have gone even earlier. The girl at the counter saw me looking around furiously and asked if I needed help. I pretty much always need help in the liquor store. Aside from Baileys and the occasional bottle of sangria, we don’t drink much, so I never know where to find ANYthing. I told her that I was looking for the travel-sized Baileys bottles and she said they didn’t have any (dammit). BUT, you know how you can sometimes get samples of the mini bottles attached to the big ones? She went over to the large Baileys bottles, asked me how many little ones I needed, pulled them off and GAVE them to me. For FREE. Best ever, right?? She totally helped me out of a bind, as I was not about to go from liquor store to liquor store looking for some. I think we can agree that they really work in these pics, right? 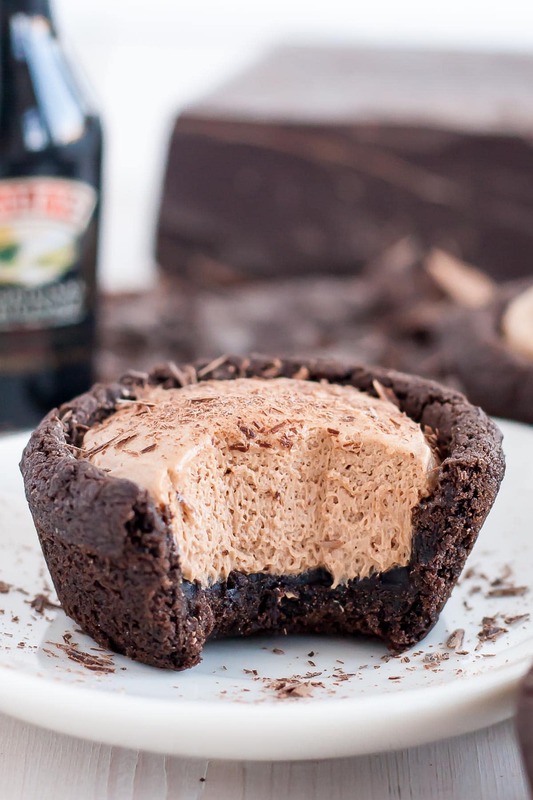 I should bring her some of these Baileys Cheesecake Cookie Cups as a Thank You. 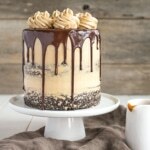 I’ve baked with Baileys a few times before but it’s been a while since my last Baileys post. I’m surprised it’s been so long since I’ve used it in a recipe! It adds such a delicious and unique flavour, and pairs perfectly with chocolate. 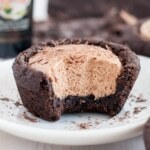 I used my favourite chocolate cookie recipe for the base of these Baileys Cheesecake Cookie Cups and filled them with a light no-bake chocolate Baileys cheesecake. I’ve used this cookie recipe quite a few times before, and I totally love it. It uses black cocoa, which gives it an Oreo flavour, but if you only have regular cocoa you can just use that. You could leave the chocolate out of the cheesecake if you like, but I love the Baileys and chocolate combo myself. 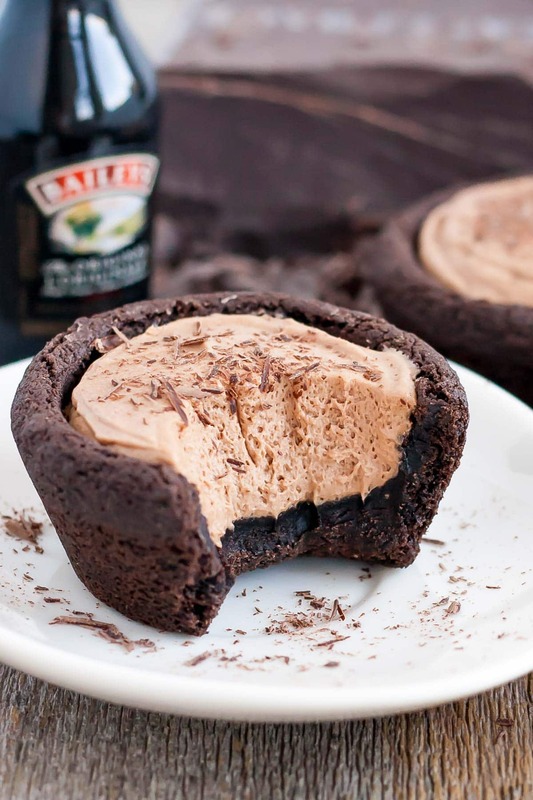 These Baileys Cheesecake Cookie Cups come together really quickly. The bulk of the time is just waiting for them to chill/set, but you don’t really need to do that. I totally dove into one as soon as it was filled — for quality control purposes, you know. Ahem. They do firm up in the fridge, so if you’d prefer a more cheesecakey texture vs. a whipped cream/mousse texture, definitely let them chill! 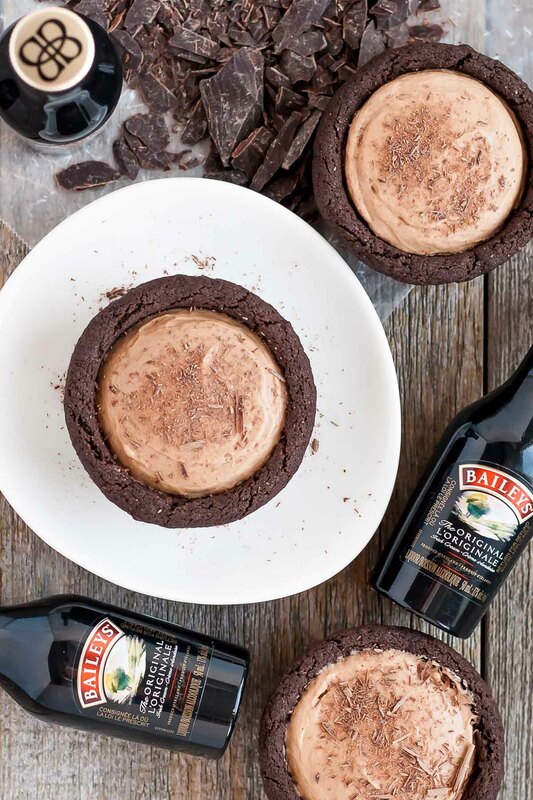 If you are a Baileys fan, or have one in your life, you will love these Baileys Cheesecake Cookie Cups! 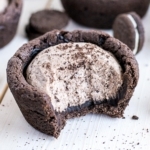 The cookie part of these cookie cups will soften over time as they sit with the filling. This post has been updated. It was originally published on Dec 7, 2016. 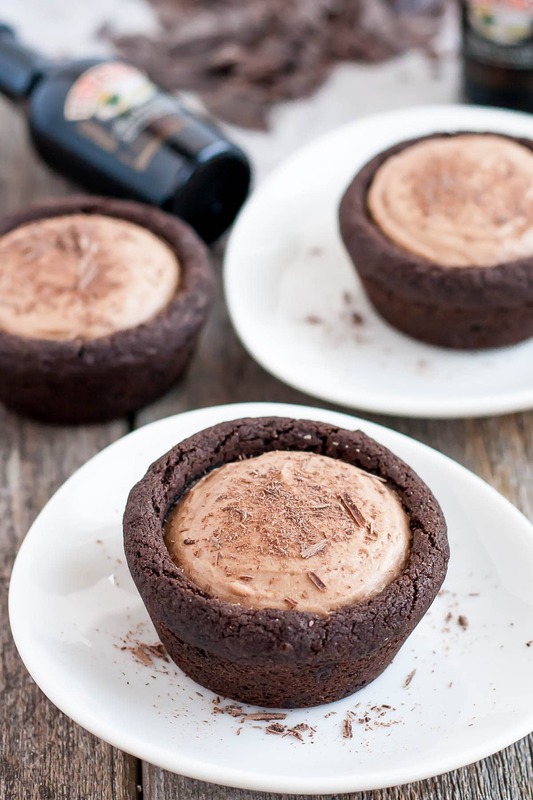 Chocolate cookie cups filled with a chocolate Baileys cheesecake. The perfect bite-sized indulgence! Remove from oven and immediately use a small jar or container to press firmly down in the center to create a well. Cool in pans for 10mins, loosen each slightly by twisting it in the pan. Cool for 5 more minutes then remove from pan and cool completely on a wire rack. 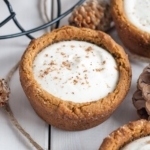 Fold cream cheese mixture into whipped cream and pipe into cooled cookie cups. Refrigerate until set (approx. 2 hours). Sprinkle with chocolate shavings or cocoa powder if desired. Serve chilled and eat within 2-3 days. Or freeze for up to 4 weeks. Are there any pictures of how to prep these in the muffin pans? How to shape them, etc? I don’t see any tutorials about your various cookie cup recipes. Hi James! 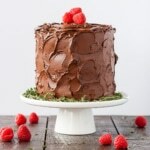 I don’t have any tutorials for these, but the description in the recipe is very detailed. Hi Oksana! 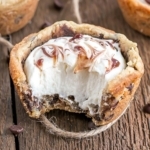 Typically that’s fine with cookie dough but I’ve never tried it with the cookie cups. I suspect it will be fine, but maybe leave the dough out while the oven is preheating. Hi Laura! I think that’s a fabulous idea actually and yes, it should work! I would just let the chocolate set before adding in the filling. Can these be done in mini cupcake pans. Hi Rose! Yes, use about 2 tsp cookie dough in each and you’ll need to reduce the baking time. I rarely comment on a recipe but this one is tops in my book. I know people get upset when you make changes, but this recipe was so wonderful for the 200 pieces I needed for our church fundraiser. I so needed something that I could finish completely, freeze, and then thaw just an hour before the party, and have them hold perfectly. This recipe met all those requirements and then some!!! I used mini muffin pans and put one Tbs. of the brownie base in each one which gave me 54 cups per recipe. I used my homemade Kahlua and cool whip instead of cream because it sometimes holds a little better for the filling. I did a test run with the recipe so I could see how they would hold up, and everyone just loved them. I can’t thank you enough, and can’t wait to try some of your other similar recipes. I am so happy to hear that!! Thank you for the great feedback and the tips for making the minis! Hi! 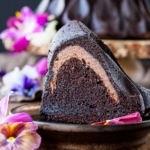 What is your homemade Kahlua recipe please? Okay, so I made these and they were ahhhmazing and a huge hit at our cookie swap! However, my cookie cups looked awful! How do you get yours so pretty? My edges were falling apart. Can I use this same recipe and make them in the mini cupcakes tins? Want them to be one bite or smaller as a Christmas time everyone wants to try a couple of treats. Hi Sue! Yep, it will work in mini cupcakes tins as well 🙂 Great idea for bite-sized treats! Yummy! I just made these for my husband’s birthday party tonight and we can’t keep our hands off them! I used a mini muffin pan and baked for about 8 minutes then followed the remaining directions. Also used regular cocoa as that’s what I had on hand. Delicious! Thank you for sharing! Yay! So glad to hear you liked them. They would be perfectly bite-sized in the mini muffin pan! Hi Kristina! I think they’ll be totally fine 🙂 Ideally, freeze them if you can before transport so they stay colder longer, but the ice will help too. Stick them in the fridge when you get to your destination so they can firm up again :). I hope you like these! Can you make these with a brownie recipe? Hi Lisa! Yes, use 1/2 cup cocoa total, no matter what you use. I haven’t tried it as gluten free, but imagine it would be fine as long as the proper substitutions were used. 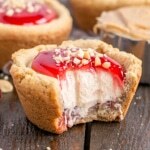 Can I make the cookie cups and freeze them unfilled? Or would they be OK to freeze filled, as cheesecake does freeze? Thanks! I may make some in regular and some in mini muffin tins. Hi Marlene! You can totally do both! I actually froze the cookies for a week and thawed them before filling. But I have also frozen them filled and then thawed. They should last 4 weeks in the freezer assuming properly stored (airtight). I will add this info to the recipe! Thanks for the quick reply! I”ll probably use Kahlua instead of Baileys, though, as I prefer it. And that’s wha tI have on hand…! Absolutely adorable!! 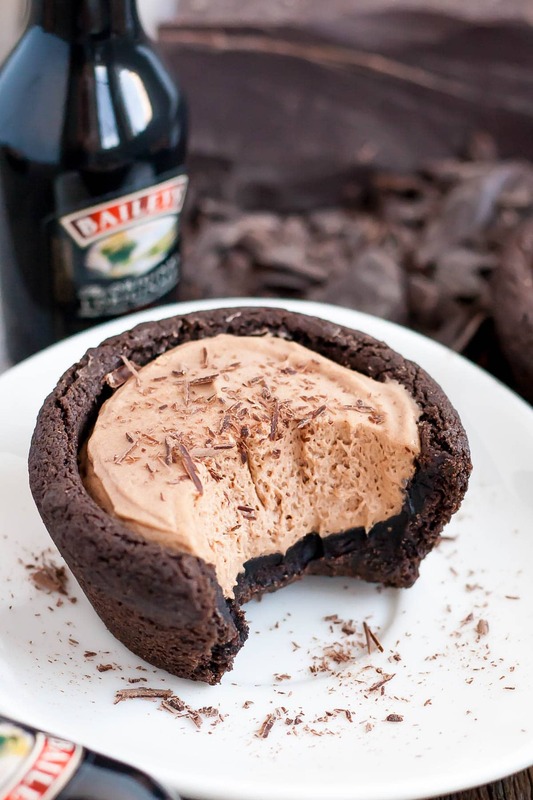 And brilliant idea to use bailey’s in the filling–never a bad thing! Olivia, I love your site and your inspired cakes. 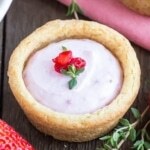 Could you make these in mini-muffin pans? Thank you Mary Ellen! You sure can. You may need to reduce the baking time a bit, so just watch them :). Thanks, Olivia! I will let you know how they turn out and what the timing was like.